Can we allow God to be so good to everyone? The parable today is about the generosity of God, not an encouragement to idleness nor a way out of finding employment for our people, each of whom has the right to work. It is Jesus using an unusual example from life to highlight the unconditional love of God, stressing as he so often did, that God’s love depends on God, not on our good works. Is Jesus pointing the way to the first truth of our faith: that God is good in love to all? From believing that in the heart, we are empowered to love others like him, or try to. It is only human to object to this approach. We very often repay love with love, and withdraw love when it is not given. Pope Francis writes: “There are two aspects of love. First, love is more about giving than receiving. Second, love is more about deeds than words. Love is always given or transmitted to another, he said, and “love always gives life, fosters growth.” (Feast of the Sacred Heart 2016). The joy of God is in giving love; this is a prime meaning of the parable. He calls on us to enjoy his giving of love to everyone, even the ones we do not think deserve it. 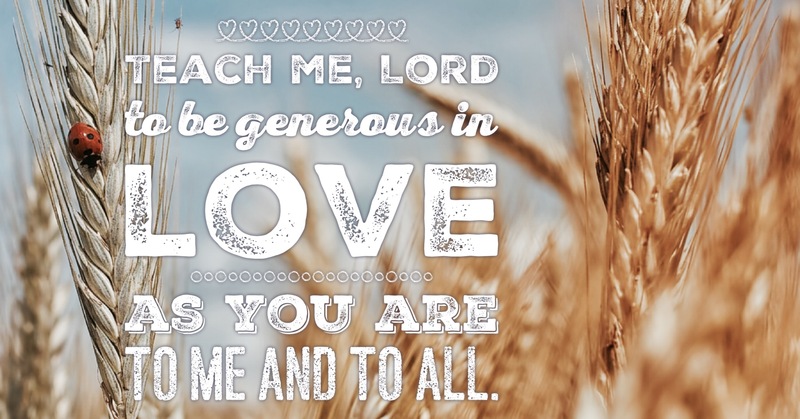 Teach me, Lord to be generous in love, as you are to me and to all. This entry was posted in Gospel of Matthew, Gospel Reflection, Liturgy Resources, Prayer Resources, Scripture, Year A and tagged Donal Neary SJ, Gospel Reflection, Gospel Reflection for 25th Sunday Ordinary Time Year A - September 24th 2017, Jesus, Matthew 20:1-16, Pope Francis, Sunday Gospel Reading and Reflection, Unconditional Love.